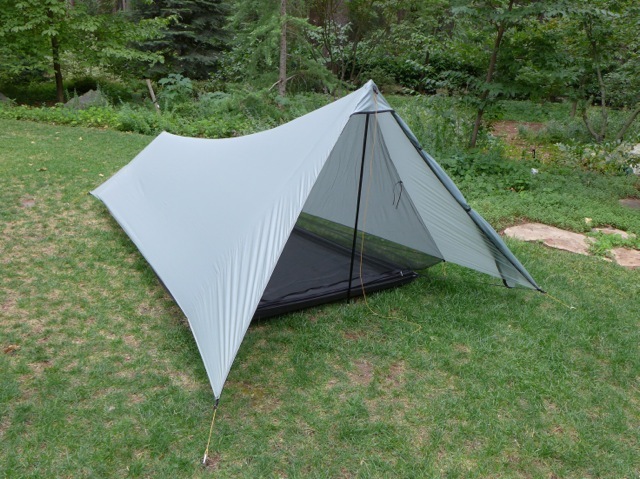 On an upcoming trip to Peru, I’ll be taking along a prototype from Henry Shires at Tarptent. Weighing in at just over a pound and a half (including stakes), the front end is similar in design to the Tarptent Contrail. The back end also sports an A-Frame configuration. A big thanks to Henry for allowing me to take his new shelter for a trial run. Note: I’ve been a fan of Tarptent shelters for more than a decade. Between 2003 and 2010, the Tarptent Squall was my go-to tent for many international trips. To this day it remains one of my favourite shelters. Below are some memorable campsite photos of the Squall taken during that period.